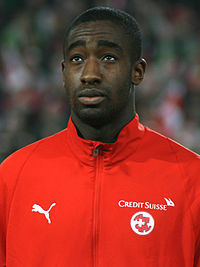 So it seems the words from Ottmar Hitzfeld managed to register with Johan Djourou. Earlier this week the current Switzerland manager made the suggestion to Johan that it may be in his best interests to sever his ties with Arsenal in search of more regular football which will in turn enhance his opportunities with his national team. Over the past season the Swiss stopper has slipped down the pecking order for the centre back position at the heart of the Arsenal defence. Given the continual improvement of Laurent Koscielny, The return to fitness of Thomas Vermaelen and the purchase of Per Mertesacker Johan has found himself as 4th choice centre back. His performances compared to the 2010-11 season have not been as commanding and assured meaning his progression has stalled. Add to that having to play out of position a number of times Johan never really got into his stride when called upon. Most players need a run of games to shake off the rust and maybe he never had that to really force Arsene Wenger’s hand in selecting him more often. 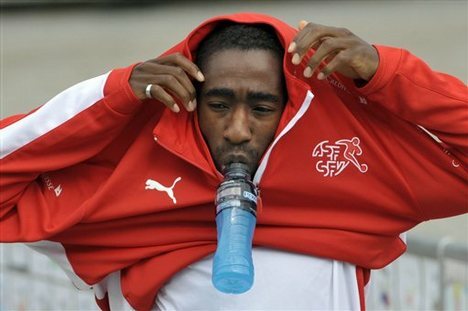 Djourou was quoted as saying in an interview with Swiss media “I’ve never played so little and especially not in my own position. If an interesting offer comes, I’ll look at it carefully”. It’s a fair comment from the defender, he hasn’t played as often in preferred position and so he needs to evaluate any opportunities. 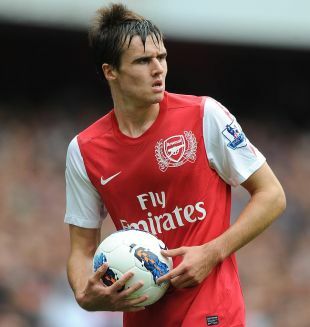 What Arsenal will miss out on if he were to move on is his quality as a relative 4th choice centre back. Not many clubs can boast 4th choice centre backs in the same caliber as Johan. You only have to look over at a club like Manchester City and the walking disaster that was Stefan Savic. At times he seemed on a one man crusade to derail the Manchester club’s title charge. Although Johan may not be as popular with many Arsenal fans; last season the alternative was Sebastian Squillaci, the still quite raw Ignasi Miquel or moving Song out of position to cover. I saw no problem with him as a 4th choice defender though most footballers would not be accepting of being 4th choice for a position when at the age of 25 and a current international player. I touched on the alternatives for Johan and you have to question whether Arsene has any plans to promote within if the Swiss defender moves on. I do not see Sebastian Squillaci being on the Arsenal books next season; I believe he will be moved on. His time with Arsenal has been a constant downward spiral and even Wenger must realize his confidence will only reduce further the longer he stays at the club. Then again Wenger could surprise us all and keep him around. Ignasi Miquel shows promise but is still a bit raw. He would benefit from first team experience on loan somewhere for a season to aid his development. 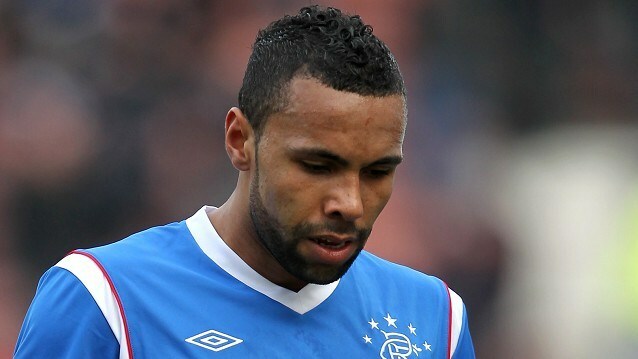 Kyle Bartley will be returning to the club after his time on loan with Rangers. 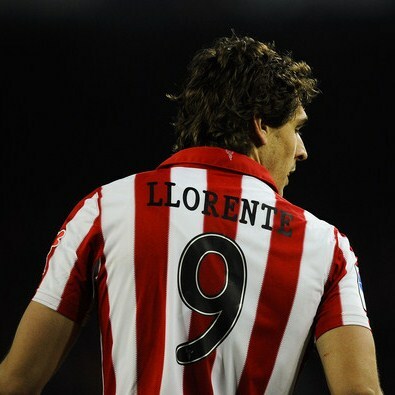 Would he be an option for that slot in the team? Despite the turmoil at the Glasgow club young Kyle still managed to play a number of games in the first team and in his fair share of high-profile old firm derbies. Although he may not have always played at centre back whilst on loan he still gained valuable experience and probably enhanced his mental strength for performing at a big club. I suppose Arsene will have a look at him over pre-season and assess whether he has stepped up to the level required to represent Arsenal. There was some nice news emanating from the Belgian camp this week as our vice captain declared his love for the club and how happy he is there. In preparation for the upcoming friendly against England Thomas is hoping that he will overcome a niggling groin injury to be able to face the three lions. To hear Vermaelen state: “There will be no transfer for me. I love London. I’ve got a house there, I’m happy there and I don’t see any reason to ever leave the club” It does help restore your faith that players can openly declare they are happy at a club and assure fans how they really feel. Many times when a player has left his club to join up with their national team they usually have free license to talk about everything about themselves ranging from contract negotiations, how unhappy they are, which clubs they admire to their favorite flavor of ice cream. Usually the players use it as a chance to vent something they don’t like going on at their club. They aren’t under the press constraints usually imposed on them during the season by their club and so many fall into the trap of revealing too much. The more intelligent footballer’s now realize just because they hold an interview in their mothers tongue it can be translated into English and reported in our press. 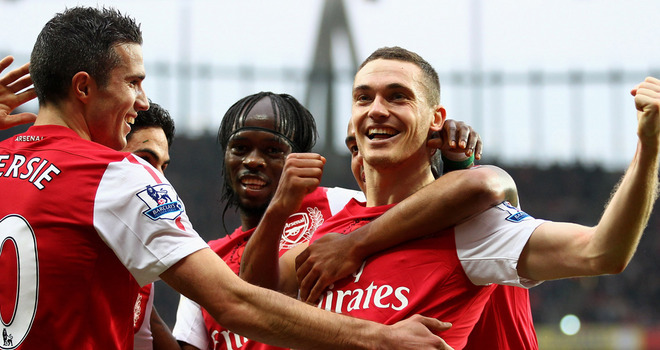 So it is definitely nice to hear the positive words coming from Thomas Vermaelen. Not usually the stuff our Red Tops would find headline news but the kind of news that is of interest to Arsenal fans. Good on him, that’s the kind of loyalty and determination his international team-mate Jan Vertonghen should take note of. I was lucky to have my memory published. 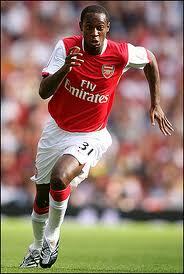 Michael Thomas’ goal was a defining moment in defining my love for Arsenal and cementing me as an Arsenal fan. I was around 11 at the time and considered myself an arsenal fan but coming from a household that wasn’t full of football fans I wasn’t as engulfed in football as some of my friends at school. It was my local team and that was enough to start supporting them. I knew the names of a few players but didn’t ‘know’ the team inside out. On this particular night of the game I was in the local youth club (called lions boys club in Pitfield street) and apart from the usual high jinks an 11-year-old gets up to some of the bigger boys went upstairs to watch the game on the big tv. I followed and proceeded to watch the game with them. Fascinated by their conversations about who was rubbish who was great what a great pass that was my mind was like a sponge taking in everything. I particularly remember one of the older boys commenting on John Lukic’s stance and technique before kicking the ball out. The pressure the atmosphere everything about this game captivated me. I was really drawn in as a true football fan. Unfortunately my curfew was up and I had to go home. I so wanted to stay I so wanted to listen to the older boy conversations about Lukic Smith et al but i had to go. 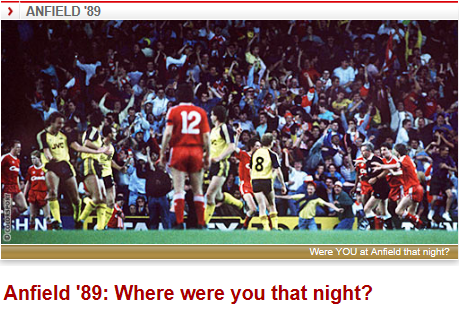 I ran home as fast as I could (it was a lot safer in those days) and when I got home my mum was watching the game on tv. Even my mum was into it? Where had this intense football feeling been all my life? It was from this moment at home that I started to show off and repeat the bigger boy comments about the game pretending like I was a fan in the know and correcting my mum for getting names wrong and explaining to her the importance of the need to score once more. When time was running down and the chance of the elusive 2nd goal was slipping away my mum was congratulating arsenal on putting in a good effort and that maybe next year they might win something. The intensity was so high I was half blocking out what she was saying. But then the moment came the move seemed to happen so quickly and in a flash Mickey Thomas was through on goal. Could this be it? Come on Thomas!! Yes!!!! Goal!!! Mummy mummy! We did it! My screams must have disturbed the neighbours but I didn’t care arsenal did it. My Arsenal did it!! We were the champions. I love football I love Arsenal I love Michael Thomas I want to be an Arsenal player and score like that (steady). All be it I was at home in the living room with my mum when Michael Thomas scored. But I really can look back at it being one of the defining moments in making me an Arsenal fan. I had never been to a match I had probably never sat through 90 mins of an Arsenal game on tv. But that moment changed everything. That awkward moment when a transfer target openly admits your team is plan B. Even more awkward the moment becomes when plan A is your fiercest rivals. 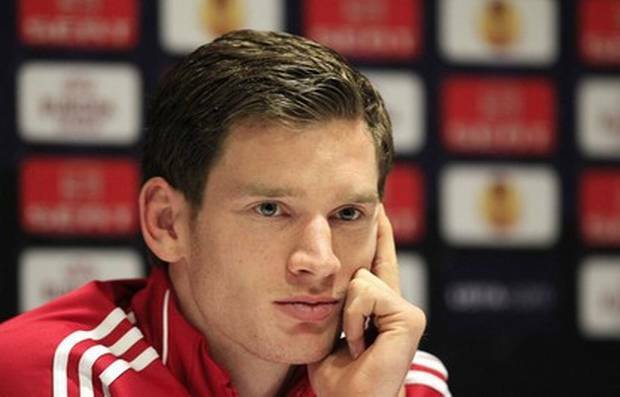 Jan Vertonghen has openly admitted Tottenham Hotspur is first choice. I suppose to get our heads around this we have to weigh up the factors for Vertonghen that is or was swinging his decision towards spurs. That one season they were in the champions’ league a couple of years ago I admit they won over many a neutral observer throughout Europe with some of their performances and results in that campaign, that put them and players like Bale on the map. So I can understand players around Europe knowing a bit more about spurs through that campaign BUT that was two seasons ago now. Add to that the fact that spurs were on the verge of qualifying for the champions league again next season would understandably be attractive to many a player. English teams are flavour of the month again; the new black in a sense.Chelsea’s victory in the champions’ league has added to the appeal of English premier league teams. Now the fact Vertonghen is not a spurs player right now probably was due to the uncertainty of their place in the champions’ league. Now it is confirmed that channel 5 on Thursday night is their future the power has shifted towards team Vertonghen in negotiations. It is at this point where I question the ambition from the Belgian defender. He will definitely be afforded more opportunities in the Spurs line up. They could potentially build their defence around him and so does his motivation stretch any further than being a regular in a team that failed to guarantee football at the highest level in European football. He is moving from Ajax; a team which is one of the major power houses in Dutch football who regularly play champions league football and are used to challenging for trophies. Arsenal may not have won a trophy for a few years now but they have always competed at the top of all competitions and come close many a time. This is the point where an ambitious player should look at themselves and asses if they could be the missing piece that is the difference between taking that final step and obtaining success or if they just want to pick up big wages and play regularly without really challenging at the highest level. It has been cited that Vertonghen isn’t prepared to face competition for places that appears to be the case at Arsenal however would that not be challenge enough to prove himself against what Arsenal currently has and show he deserves to be 1st choice? If you move to any big club you should have to prove your worth not get assurances of no competition and a regular starting place before you even kick a ball for a new club. I would prefer the players Arsenal sign to be ones who are prepared for a challenge and fight to prove their worth and have the desire to win things with the club and I hope that is the kind of player Vertonghen is if we are to sign him. Spurs are throwing everything into signing the Belgian without many bargaining chips and probably using a champions league campaign from 2 years ago as their main selling point. You find with most transfers over the past few years a player claims they have always admired the club and wanted to sign for them. These are words that if Vertonghen does sign for us cannot use as his public flirting with spurs will rest uneasy with many Arsenal fans. We will expect as a minimum if he signs for Arsenal for him to just knuckle down and show in his performances how much he wants to play for this club. Thomas Vermaelen won the fans over instantly with determination and fight in his first few games for the club and Vertonghen has the potential to do the same. All the spurs flirting will instantly be forgotten. It will be interesting to see how this transfer triangle will play out and what type of person Vertonghen will prove himself to be. Arsenal is certainly not a plan B club. Jan, have the chocolates, flowers and sorry card ready if you turn up at the Emirates door. Feel free to like the Gambeano Snitch Facebook page for regular updates.